With the simple example below, Jenkins will run ant command to run scripts defined in build.xml file in your project called Nation. Assume that you have build.xml file under /workspace/Nation/ projects. Currently we're logged in as vagrant user in out vagrant machine. 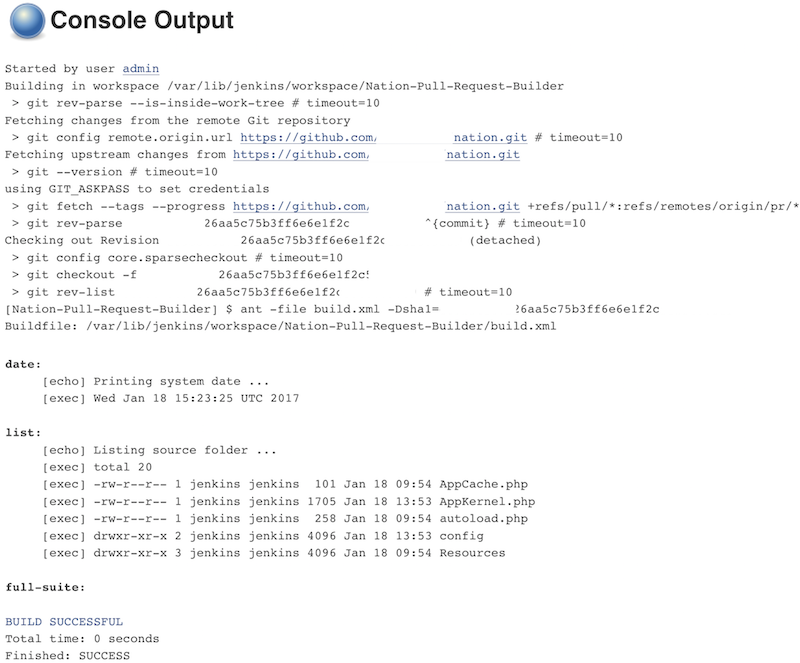 Lets switch to jenkins user to update build.xml and run tests. Click "Nation" item from the list. Scroll down to "Build" section. Click "Add build step" button. Type "build.xml" in "Build File" field. I assume that there is a build in your "Build History" so just manually build. If you go to "Console Output" of your build, you should see something like below.